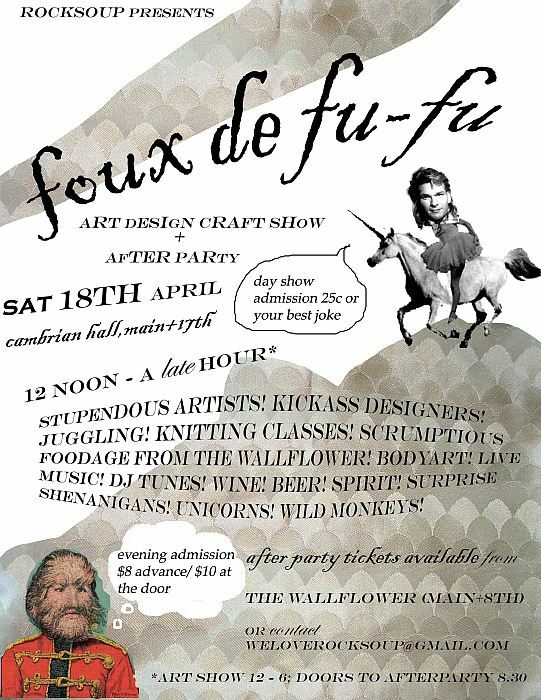 Next Saturday I’m taking part in Foux De Fu-Fu – a 2 part event starting with an artisan showcase and sale where I’ll be selling prints, necklaces, card sets plus a couple of originals. With music pumping, free classes on learning to knit, juggle & paint pinatas, it promises to be a good time. After the retailing is wrapped, the after party will kick into high gear. Live music including DJ El Garzita, The Green Hour and Pretty Vanilla plus a full bar serving cheap drinks and a chance to rock out with your friends.